Would someone that is planning on extremely early retirement (say in their 30’s) really be safe at a 4% withdrawal rate? To which my answer is a very qualified “Maybe”. 4% means that a person needs 25 times annual expenses or 300 times monthly expenses. This makes it fairly easy to use in estimations. Of course, such calculations remain estimates. They may be precise but they are far from accurate. 30 years is a relatively short horizon when it comes to liquidating buy and hold investments. The stock market has historically remained flat for periods comparable to this time period (within a factor 2). A 4% withdrawal rate is the canonical value for late (60 year old) retires planning to live another 30 years. Personally I plan to live to 100 after which I will book a one-way cruise trip to shark infested waters and disappear under mysterious circumstances. So having almost 70 years to go, am I safe? First of all, I am not keen on making one-time estimates on portfolio growth and average inflation and extrapolating this 70 years out like an annuity (that’s what insurance companies do). Volatility (particularly in the beginning) can easily kill such extrapolations. It is the same problem when sending a satellite to Saturn. Early mistakes causes much bigger cumulative errors late on than late mistakes. To account for the volatility, I generally use firecalc.com‘s calculator, which only requires my present annual expenses, my present asset base and the amount of time until the above mentioned trip. The fireclac automatically accounts for historic inflation and historic returns. This is in my opinion better than assuming fixed numbers as it accounts for volatility and thus computes a likelihood that the portfolio will outlive me. Still, will future returns reflect past returns? In other words is the historic growth repeatable or was it a product of cheap domestic oil, immigration, and military dominance, all of which are unlikely to repeat for another 70 years? Who knows. This leads me to my real answer to whether a 4% withdrawal rate is safe. I think extreme early retirement is qualitatively different from early retirement. Retirement is typically thought of as spending an accumulated nest egg at a certain rate without income. However, I can not see myself as never having any kind of income again. Who knows what I will be doing in 5 years? Possibly this is different at age 60. A 70 year old might very well be doing the same as he did at 65. I hope not though. I for one am doing different things compared to 5 years ago. I’m married. I freelance. I’m very interested in investing. Neither of these were even something I considered 5 years ago. Also I live in another country, something I did not plan either. I also think that true financial independence does not come from spending a large sum of money slowly. It comes from not spending any money at all. I will keep working to make myself more and more independent from the financial system by wheeling and dealing and creating and making rather than buying. Doing so can only make my “retirement” more and more robust. 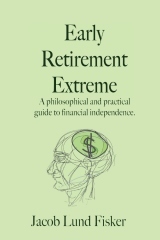 15 users responded in " How much do I need to save for extreme early retirement? " But is it really “retirement” if you continue working? I suppose it depends on what your definition of retirement is. My definition of retirement is walking away from the corporate rat race and doing a few shifts at macs/starbucks et al. I would have to spend a great deal more time at the 9 – 5 desk job to have enough to retire and never work again. Also Jacob you are a bit shy with your numbers – how much of a retirement nest egg do you have? Do you currently use any of this for living expenses? I define it as “(re-tire)-ment”, the point where you do not need to worry about money again and can go and do something else. I think our definition is fairly similar. I might enjoy serving coffee, maybe, but I would do it only as long as I found it interesting. If money were short because the market had a down turn that cut me short by 5 years, I would like to have to ability to volunteer (cost of living paid) somewhere without all the liabilities of the rat race. I could do one year every 5 years. I guess I have to do a post, where I define “retirement”. Yes, I’m shy about my numbers. You should be able to piece together the clues in my posts to get a good idea about it though. Hint: It’s far from the million dollars that all the other pf bloggers seem to want. It seems that pf bloggers either keep their name or their numbers a secret. I plan to eventually reveal my name and make the blog a part of my freelance/author “empire”. If anyone has some good arguments for posting my networth, I’ll be happy to listen. My worries is that someone starts using it against me, frivolously suing me, breaking into my home, cross referencing my name to account numbers, etc. Maybe I’m too paranoid. I am currently reallocating my assets for income/yield, that is to say, whenever I have cash, I invest for yield and whenever I sell a position, the monies go to a yield position. I have about half of my living expenses (after we move out of this expensive rental) covered by now. The reason that I don’t do a complete reallocation now is because I can save a lot more on taxes if I wait until I don’t have a day job income. That is a very interesting perspective. I’m suddenly trying to think of ways to become completely independent from the financial system for various budget categories. * food – have enough seeds and dirt and perhaps animal stock to replenish your own food. * housing – buying a house, trailer, or boat makes one more independent, but there are still taxes to consider. Also maintenance, repairs, and/or insurance. * clothing – I can actually imagine buying so many clothes that you never need to buy more. Or you can have cotton, wool, spinning machine, sewing machine, etc. However, I sure like a lot of the fabrics that have come out in the last 20 years and would be sad to miss them. It also strikes me that you could trade financial dependence for dependence on other things such as your social structure, your health, etc. It’s probably good to diversify here as well as everywhere else. Have money you can fall back on, skills you can fall back on, friends, church, government programs, land, solar panels, etc. My current plan is to withdraw 4% of the current amount each year [probably (4/12)% of the current amount each month]. If my investments are doing very well, I’ll put the extra into savings (and stop counting that money in my “total”). If they are doing poorly, I’ll try to live on less, but if I have some savings, I can use that. This way I absorb the volatility. I may have trouble some years, but I won’t get into a situation where I am out of money forever. Another strategy is to not retire the second I barely have enough, at least not if I have so much because the market is awesome right then. Also, I will generally make my withdrawals from whatever sector is doing best to help keep my portfolio balanced. Ok, I like FIREcalc, but I seem to recall reading somewhere the success percentages beyond 80% become meaningless. Due to the fact you can’t predict wars, famine, poor bank leading practices, etc. So with a 70 year timeline (or 55 in my case) the reality becomes we can’t predict anything that far in advance so we have to accept the earlier you retire the more unknown your future will be. Accept the fact and adapt as you go. At least that is my plan when I pull the plug in another 15 years. Well, I’ve been hanging around the early retirement forums and checked out the firecalc. Like many others have said, it’s hard to predict the future so the calculator can only be used as a tool. I think saving more is definitely safer than saving less because your expenses could increase unexpectedly. So 4% of the nestegg today may not be enough in 5 or 10 years. I guess I am a bit of a worrywort. As to your networth, if you and your wife are still living on $500 a month then you only need $150k! :O The hubby and I already saved twice that, but we are only 25 and don’t think we can retire on that yet. @Debbie M – Yes, yes, yes. Can you build your own house? Can you self-insure? Have you developed a metabolism to need less clothes? Or the sweat glands to not need AC? Can you live for less than the deductions for taxes? @Canadian Dream – I meant to include the war, pestilence, famine, and that last one as well but in all the excitement of the writing, I forgot. Another consideration is the bus scenario. I might get hit by a bus tomorrow or I might get terminal cancer in 5 years. We can calculate expectation values forever and ever. What I suggest is to live every day as if one is going to live forever. I do not think that retirement is a financial point. It is just a state of mind. I don’t plan to change anything fundamental when I “retire”. I don’t see my life as having two stages other than preretirement means that a job is demanded rather than chosen. Lots of people are mentally trapped by jobs and notions of “safety”. I used to be the same way, so I can see the difference now. Nothing is ever 100% safe. @thebaglady – Yes, but you could also get hit by the bus-scenario above making the quest and effort that has gone into extra safety meaningless. Incidentally, whenever I give my numbers they are for a single person living together with another person. If you want household numbers, double everything I say. I will not make that assumption when I talk about limits though. For instance, if I say it is possible to live on X dollars, I mean that that is possible for a single person. The fact that I live with DW means that I get a few extra benefits due to scaling. Here is your financial insurance policy: are your living expenses sufficiently low such that in the event of a bad market year, a job at McDonald’s (i.e. minimum wage) is enough to cover the shortfall? My goal was always to retire at 45. My estimate was that I would need $500,000 which I think is probably the least that anyone should entertain. At this level, you can fairly safely assume a $20,000 to $30,000 return with a conservative investment strategy and easily get by with frugal living and still stash back some of your interest income. Personally, I recently retired at 41 with $700,000. Everyone thinks I’m crazy but I think I can make a go of it as a single man with no kids. First of all, I am not keen on making one-time estimates on portfolio growth and average inflation and extrapolating this 70 years out like an annuity (that’s what insurance companies do). Volatility (particularly in the beginning) can easily kill such extrapolations. It is the same problem when sending a satellite to Saturn. I think 4% draw rate is very risky for ERE. Jacob is still bringing in some income. That is the real model ERE needs to follow. Jacob, where do live now? I use both Firecalc and Fidelity’s retirement planner. You have to have an account with Fidelity to use this service. Wtih the fido planner you can get a very customized report. I think it is better than firecalc because of this. I am a lot older then most on this forum at 56. I have retired this year, but my DW is still working. We won’t have to go the extreme route, but I find this blog a wonderful storehouse of great ideas to save money. We have a paid off house worth around 300k and retirement accounts of about a million. We have retirement medical insurance from previous employer. It cost us $80 per month with a combined $3000 deductible. It includes $20 3 month prescriptions and dental. I still get income from commissions on my long time accounts about $25k per year and my DW earns about 38k. We hope to move out of tax hell (Maryland) in a few years. However without our retirement medical insurance, it would be very hard to do this extreme early retirement as you age IMHO. I think you can be proactive and live a very healthy lifestyle, but some illnesses and accidents are in Gods hands. Just because MD has Sales, State Income, Piggybacked Local Income, Personal Property, and Real Estate Property taxes? I left MD back in ’78 and never looked back! I’m retiring in two months in my forties (well, 49 if you must know). I’m not going to spend a fixed 4% percent, but rather will use an the Endowment Spending Policy. I may have to cut back some years, but it should make the money last for me indefinitely. Like retired@40, I am a single man with no kids. When I was closing in on my retirement 2 years ago at age 45, I did not do the x% SWR calculation. Instead, I calculated my expenses and my projected dividend income using only my taxable accounts while keeping a good sized IRA for later. I also wanted to run a surplus at least in my early ER years to cover possible deficits later on until I turned 60 and could tap into my “reinforcements” such as the IRA, pension, and SS when in my 60s. I did use Fidelity’s Retirement Planner and met with their reps (I am a Fido investor) just to make sure I had not left anything out. My SWR rate, BTW, is about 2.4% and the ratio of investments (taxable and IRA) to expenses is about 45:1. Everything that happens has a earthly reason. Even illnesses and accidents. One may have a preventive lifestyle or a provocative lifestyle. It’s a choice.